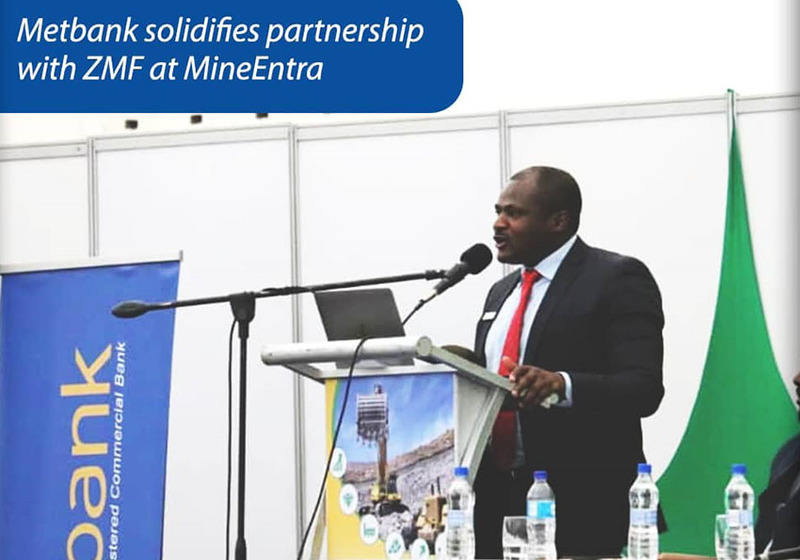 Metbank Ltd exhibited at the 2018 Mine Entra in partnership with Zimbabwe Miners Federation (ZMF). This was an exciting opportunity for Metbank as we have taken a deliberate role to support the mining sector by working with Zimbabwe Miners Federation (ZMF) as their Financial advisors. In addition, Metbank sponsored the ZMF conference at the 2018 Mine Entra. More than 270 small-scale miners participated at the conference, which was a platform for dialogue among stakeholders in the Artisanal and Small- scale miners (ASM) sector. ‘ As a Financial institution, we now have the challenge to come up with facilities that are meant to support Small- scale and Artisanal miners before they set up their businesses and these are known as pre -business set up financial packages’, Mr. Ephraim Chawoneka (Metbank Executive Director Banking) addressed the participants at the conference. ‘ That package will cover exploration, licensing laboratory and sampling, EMA and Geo Survey reports.